I am honored to have recently received two nominations for blog awards. 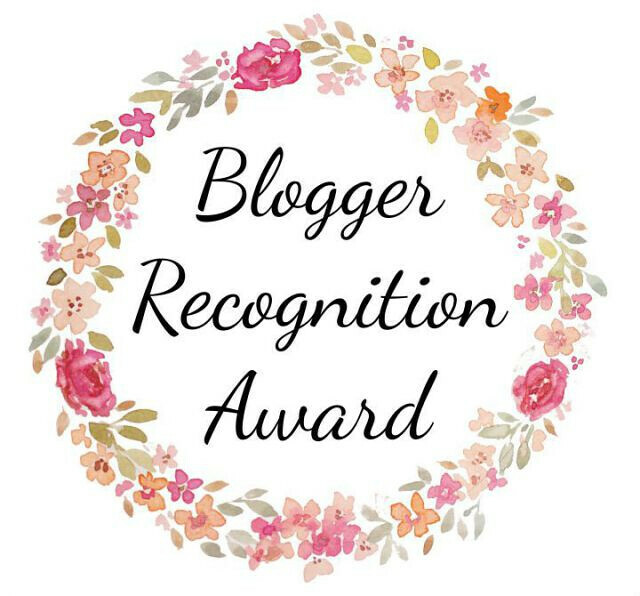 Today I will focus on the first nomination for the Blogger Recognition Award. This award was passed on to me by Kristi at Savvy Schooling who has a lovely blog you should check out! I started Camie’s Cozy Corner as a continuation of my first WordPress blog, Happy Heart’s Homeschool. I wanted a name change, a new look, and a fresh start with my photo storage, haha. I’ve continued sharing my homeschool experiences, my travel, my faith, have added more of my photography, family-friendly movie reviews, and a little of my heart. I started blogging as a way to reach out to other homeschooling moms, to give them my encouragement and support. Besides making new homeschool friends, I’ve also “met” some talented cooks, gardeners, photographers, writers and crafters. And I want to thank my loyal readers for their support! It’s appreciated more than you know. First, be true to yourself and let your blog reflect you. Be authentic. There is no one else like you so use that to make your blog one of a kind. Write in your own style. Write your own mind and your own heart. The blogs I admire most have this special touch, something that is uniquely theirs. It shines through and draws me in. Second, the more you take an interest in other blogs, the more your blog will generate interest from others. If you read a post that speaks to you, take the time to leave a comment so the writer knows. Bloggers appreciate that and will often reciprocate. This is what I love most about the blogging community. They are very supportive of each other. Select (up to 15) other bloggers for this award. Comment on each blog to let them know you nominated them and provide a link to the post you created. Shelli at Mama of Letters has an encouraging and supportive blog for homeschoolers. Kirby at Kirby’s Korner Blog shares recipes, meal plans, inspiration, writes about her family’s homeschooling and her square dancing! Lynn at a poem in my pocket posts delightful poetry that will make you smile. It’s Going to Take a Year is an honest blog with thoughtful posts. Barnraised is my favorite horse, barn and cowboy boots kind of blog. Have you ever appreciated something seemingly ordinary in your life with this kind of introspection? This is what I love about this young man’s blog. I think you might enjoy reading his insights too. I was driving home with my younger brother tonight and we got talking about music. One of those “real” conversations. Those type are my favorites. They’re the conversations that I live for. He asked about a CD I had playing in the car- one of the earlier Rise Against albums– and I asked if he liked it and he told me that it was alright but it was a little much for him. This lead into a bit of rambling conversation on my end. Perhaps conversation is strong… it was more one sided. I just rambled. But the rambling really got me thinking. Got me talking, which was, in this case, more important that just thinking.